Strikingly modern with crisp lines and phenomenal stretch. 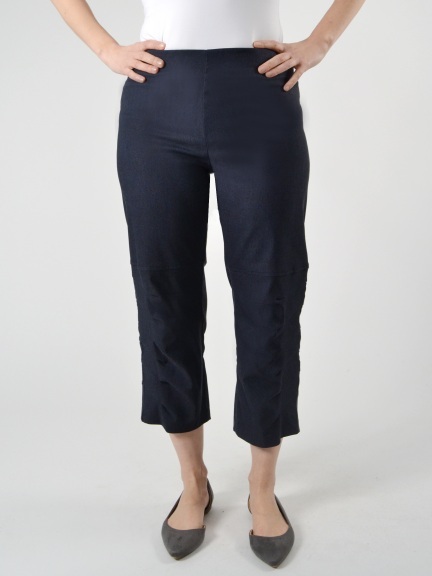 Back of pant has yoke with complementary stitching. 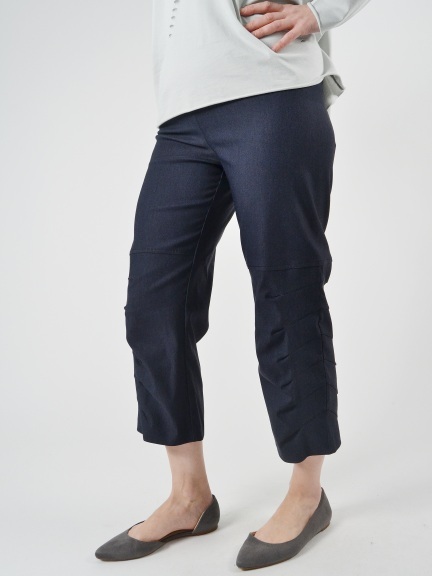 Delicate pintucks adorn outer pant leg. Horizontal seaming at knee. Made in the U.S.A.